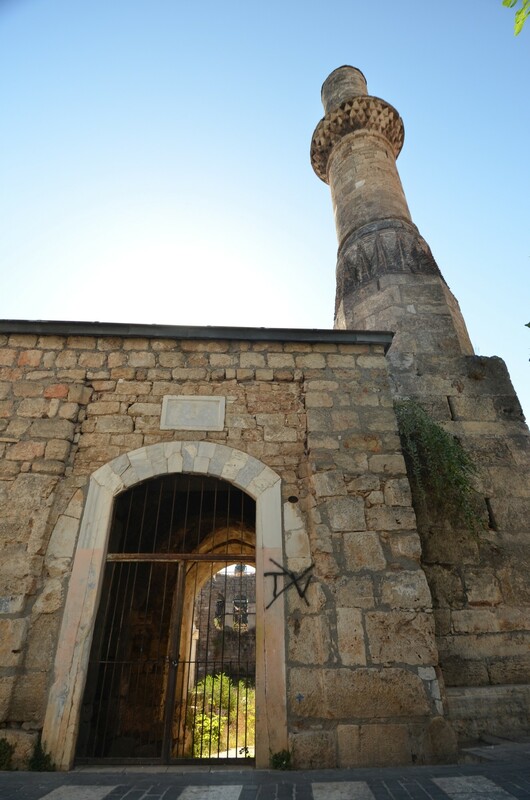 The building now known as the Broken Minaret (tr. 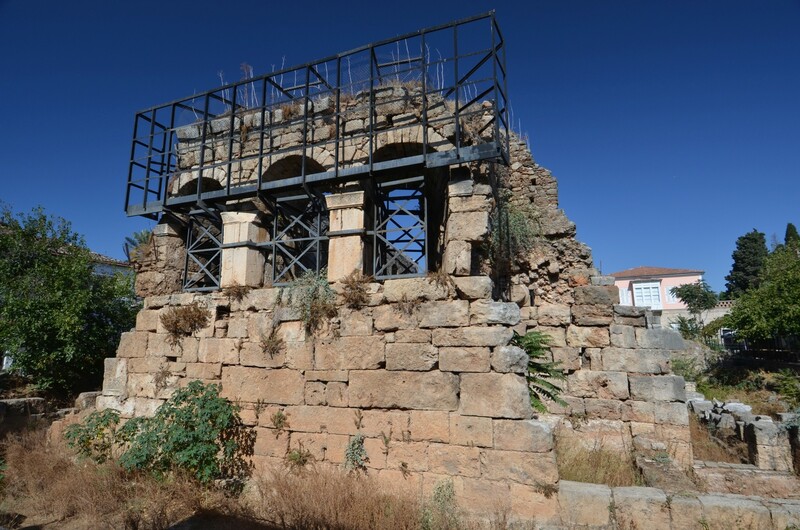 Kesik Minare) hides more secrets that one might have expected. 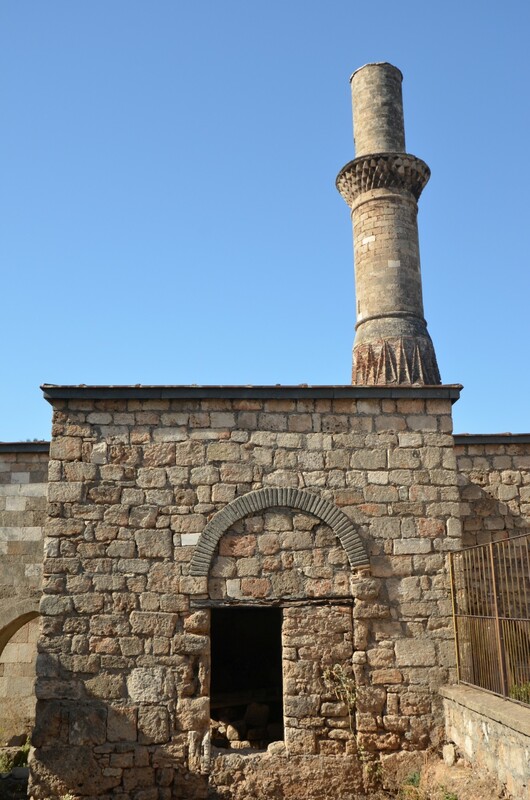 This characteristic structure of an actually broken minaret belongs to the ruined Korkut Mosque (tr. Korkut Camii). 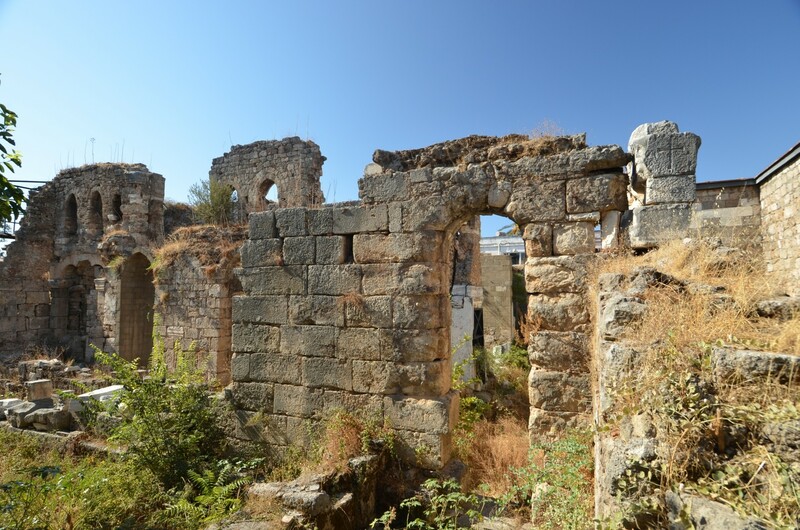 The history of this building is an excellent illustration that offers a better understanding of the turbulent history of Antalya. 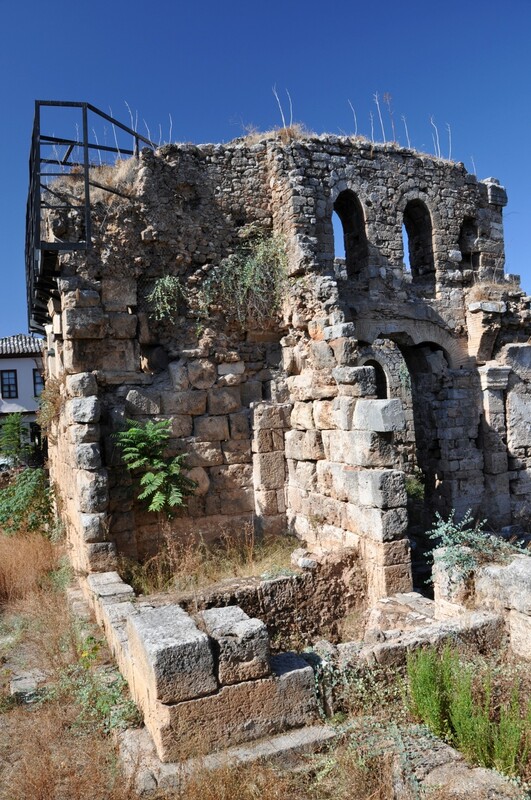 The building, which is currently called the Broken Minaret, was built in the 2nd century AD, in the period of Roman rule, as the temple in classic architectural style. 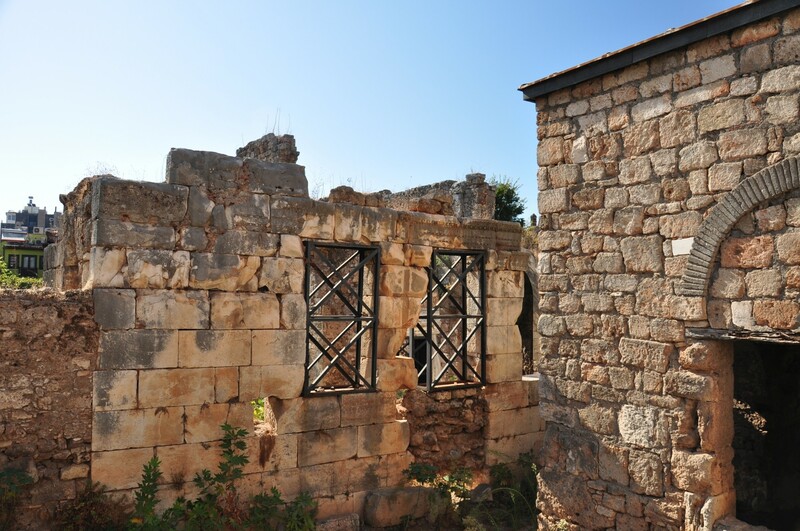 In the Byzantine era, in the 7th century AD, the temple was demolished and rebuilt as a church dedicated to the Virgin Mary (gr. Παναγία). During its construction many architectural elements of the ancient temple, including stone blocks and column capitals, were used. 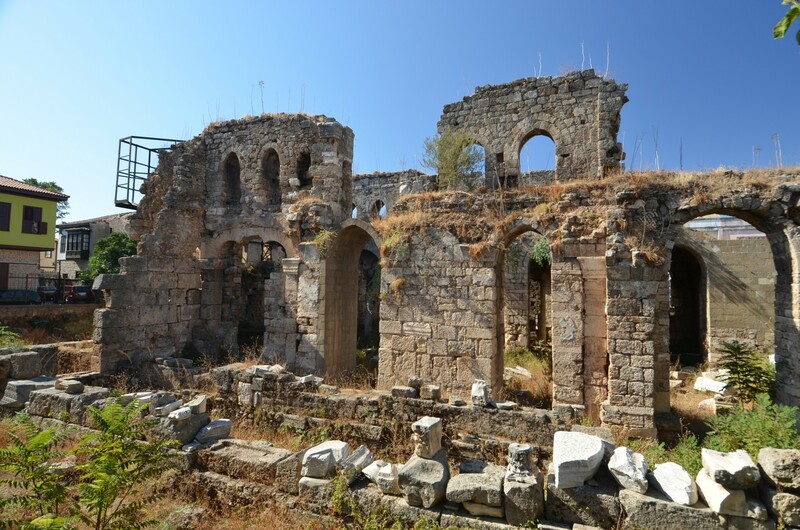 During the Arab invasions in the 7th century the church was badly damaged, and had to wait for its renovation until the 9th century. 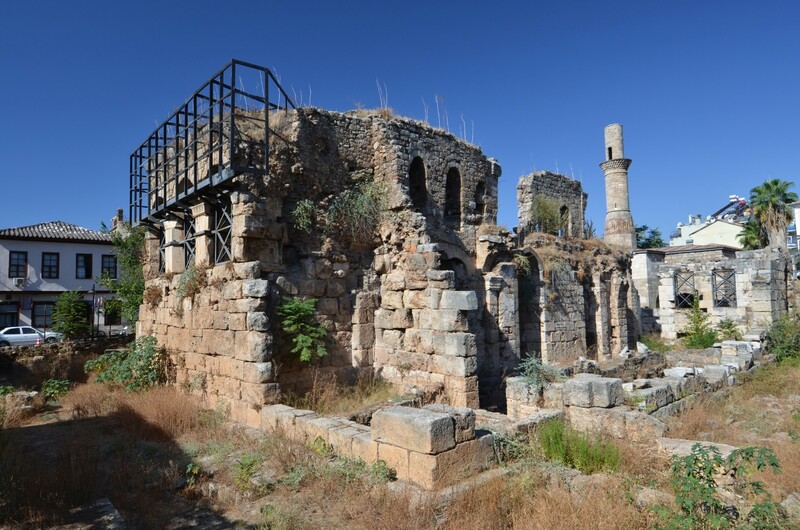 When, at the beginning of the 13th century, the southern coast of Asia Minor was conquered by the Seljuk Turks, who had their capital in Konya, the Virgin Mary church was quickly converted into a mosque. 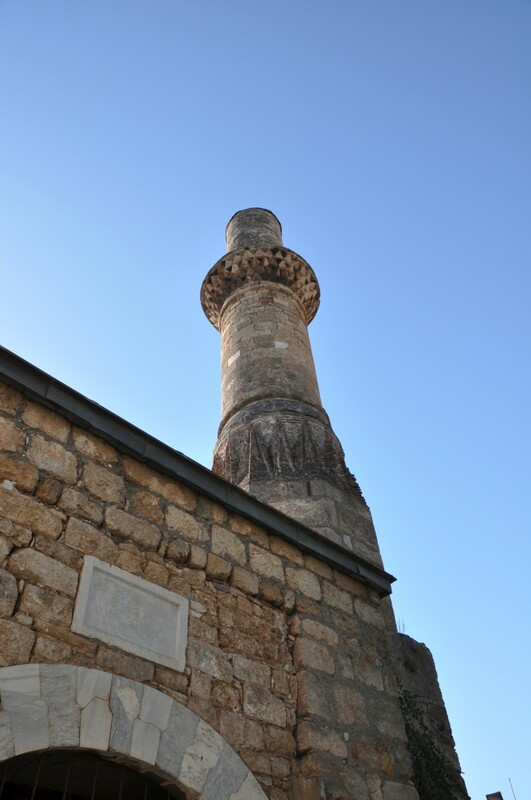 During this time a minaret was added to the temple. 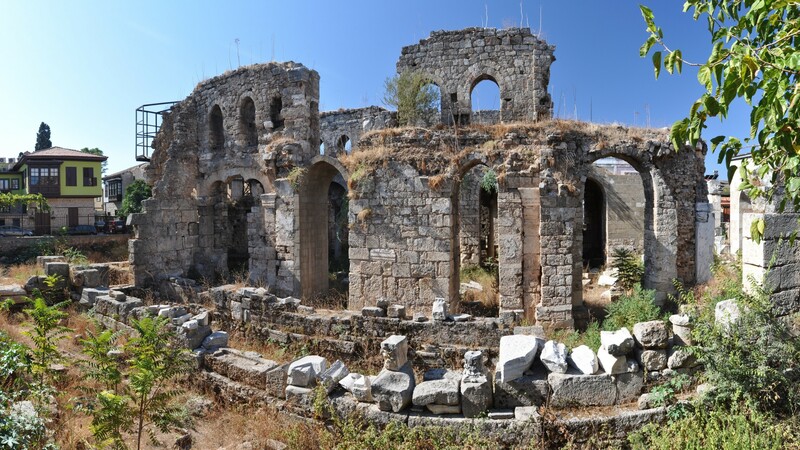 Later, in 1361, Peter I - the king of Cyprus and titular king of Jerusalem, took Antalya over from the Seljuks, the building became a church once again. This did not stop the trials and tribulations of the temple. 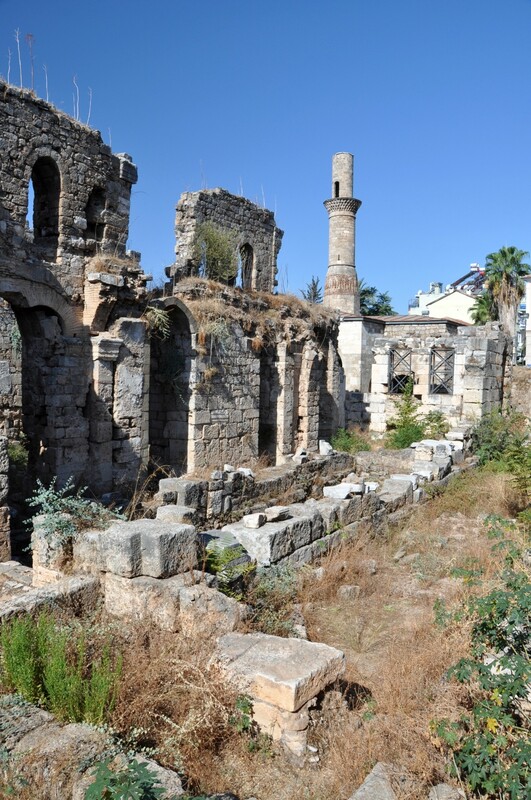 The rule of Cyprus in Antalya ended just after twelve years and the Seljuks returned to the city. 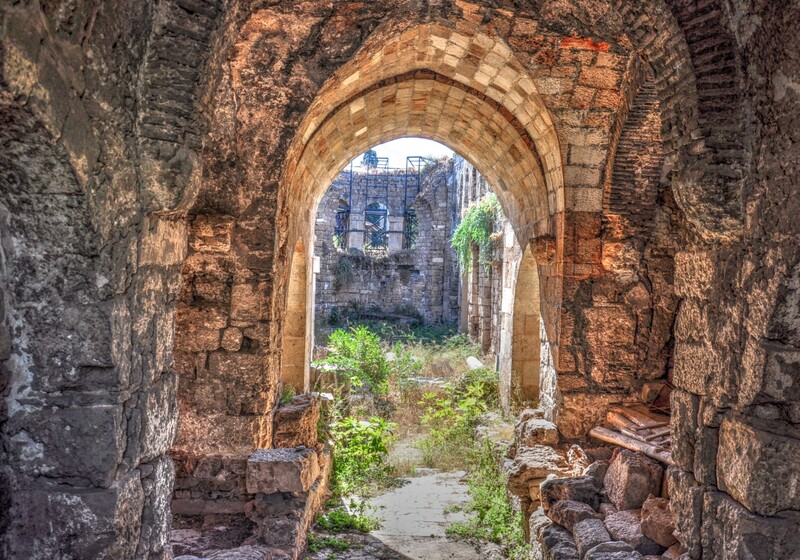 In 1423 Antalya became a part of the Ottoman Empire. 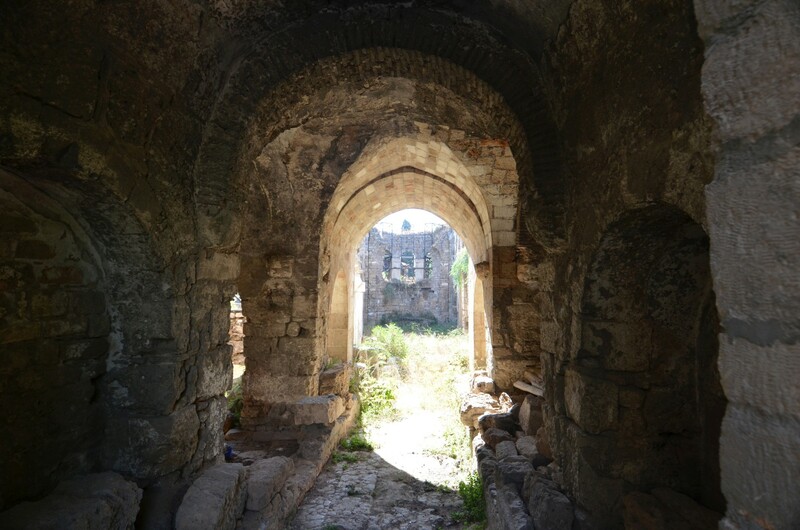 Only then, in the early 16th century, when Antalya was governed by prince Şehzade Korkut, the son of Sultan Bayezid II, the building once again assumed the role of the mosque. From that moment on it was known as Korkut mosque. 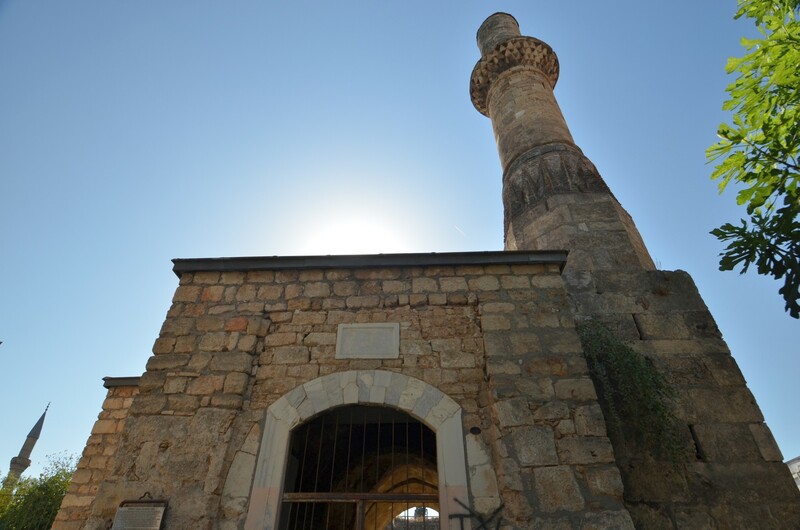 In 1896 the mosque was destroyed by fire and has never been rebuilt. In 1975 some provisional works were carried out on its premises, but so far no decision has been made about its renovation. 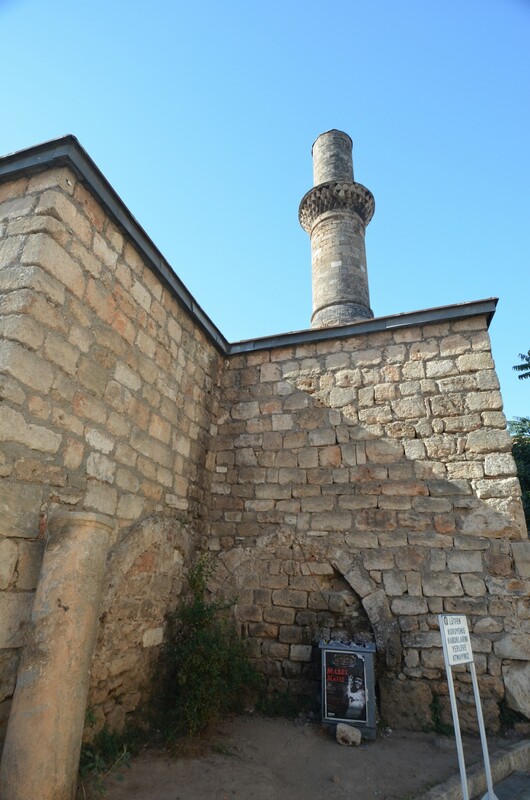 The area of Broken Minaret is currently fenced off, but its most important fragments are clearly visible. 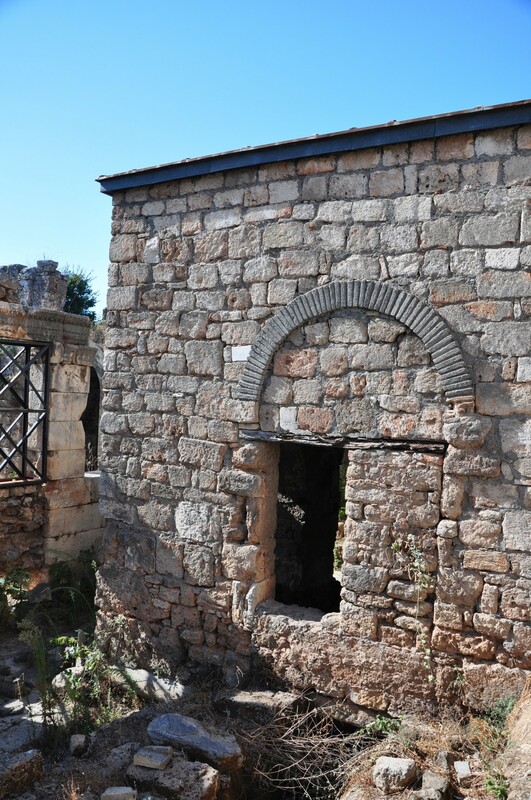 The building remains the most characteristic orientation point in this area of Kaleiçi district. 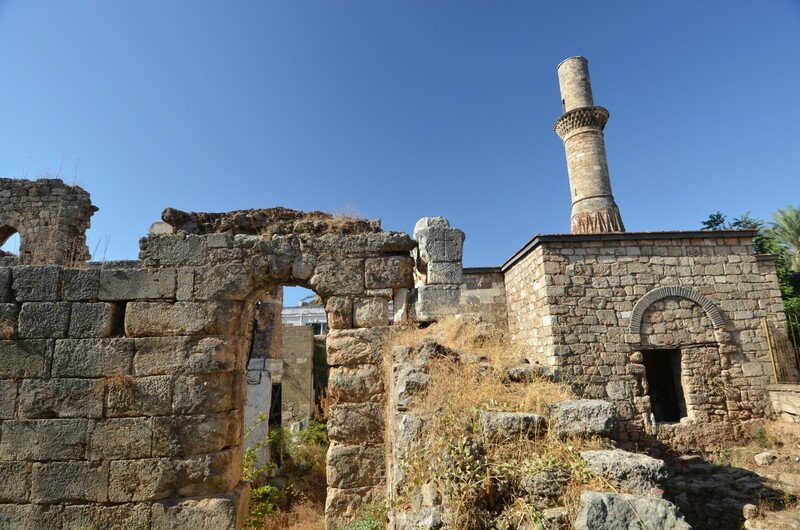 Kaleiçi district, where Broken Minaret is located, is a traffic restricted zone, therefore the building is best reached on foot. 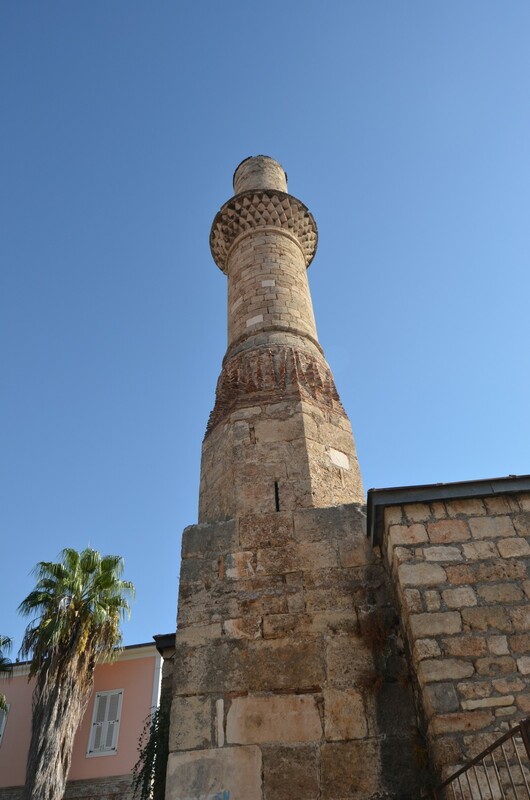 Broken Minaret is situated on Hesapçı Sokak street, which crosses the district, starting from Hadrian's Gate and finishing near Hıdırlık Tower. 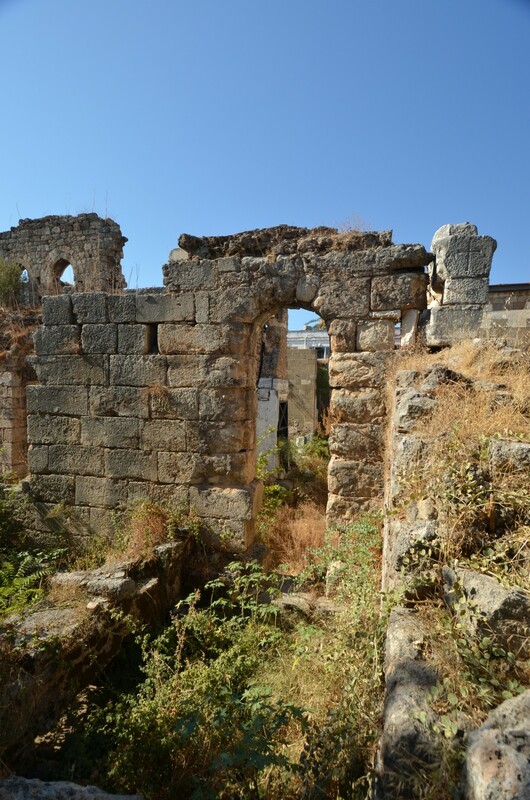 The ruined temple is about 400 meters away from Hadrian's Gate and only 200 meters away from Hıdırlık Tower.